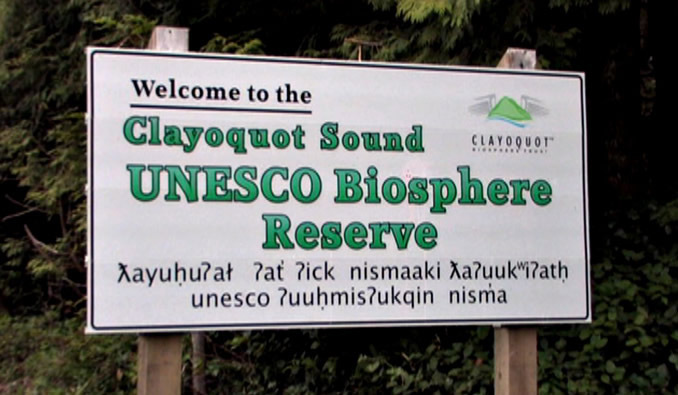 In January 2000, Clayoquot Sound was designated as a United Nations Educational, Scientific, and Cultural Organization (UNESCO) Biosphere Reserve. The words “Biosphere Reserve” have led many people to think that Clayoquot Sound is now protected as some kind of international park. Nothing could be further from the truth. The Biosphere designation is symbolic only and does not provide any new protected areas or environmental regulations. Only one-quarter of Clayoquot’s productive ancient forest has been set aside in protected areas (parks), most of which scientists consider too small to offer meaningful protection. 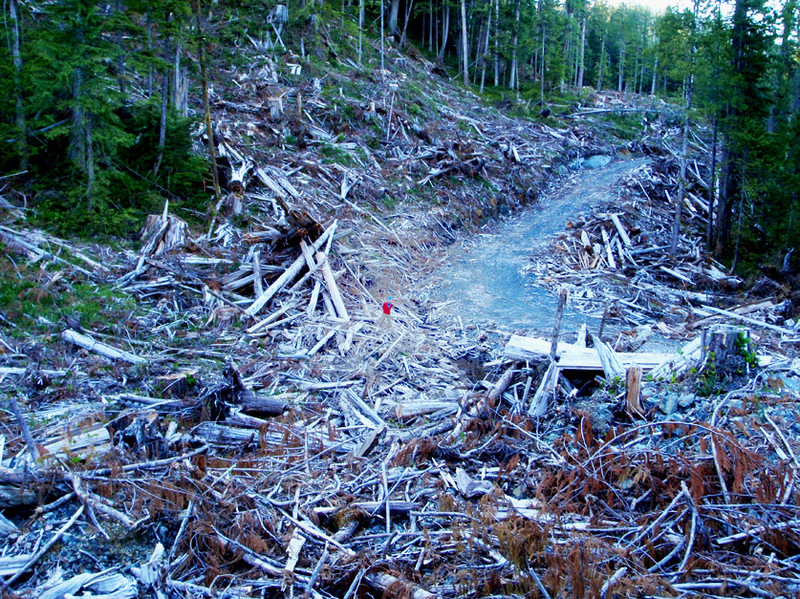 Logging of ancient forests outside of the parks is ongoing. There are currently 20 industrial salmon farm tenures in Clayoquot Sound’s ocean inlets. There is also ongoing exploration for 2 potential mines in the Biosphere Reserve. Mining can in no way be defined as a sustainable activity, and thus should have no place in the Clayoquot Sound Biosphere Reserve. What is a “Biosphere Reserve”? Clayoquot Sound is one of over 630 Biosphere Reserves that UNESCO has designated in 119 countries around the world. But Clayoquot Sound is one of the last and best stands of ancient temperate rainforest in the world. Does it make sense to experiment here? The UNESCO Biosphere Reserve information page. Wikipedia also lists the world network of biosphere reserves. Info on Canada’s 16 biosphere reserves can be found at Canadian Biosphere Reserves Association. The Clayoquot Biosphere Trust assists the Clayoquot Sound UNESCO Biosphere Reserve Region Community to achieve its vision by providing funding and logistical support for research, education and training initiatives that promote conservation and sustainable development.